Greetings! With another wave of snowstorms moving into Minnesota this weekend, it’s time for a new soup recipe here at Relishing It. You already know that I’m soup-obsessed, so I won’t go into that again. But I always find that Winter is a bit more bearable knowing I can eat soup as often as I like. Honestly, if you were to take a peak into our refrigerator on any given day this time of year you’d find a couple of soups. And the leftovers are just easy, quick lunches. I think so many soups actually get better after sitting for a day or two. This particular soup takes me back. Many years ago, I flew out to the East Coast for my best friend’s wedding. A few days before the ceremony, we found a cute little restaurant that made an amazing black bean soup with pineapple chunks. Having spent my whole life in North Dakota up to that point, I’d never eaten anything like it. 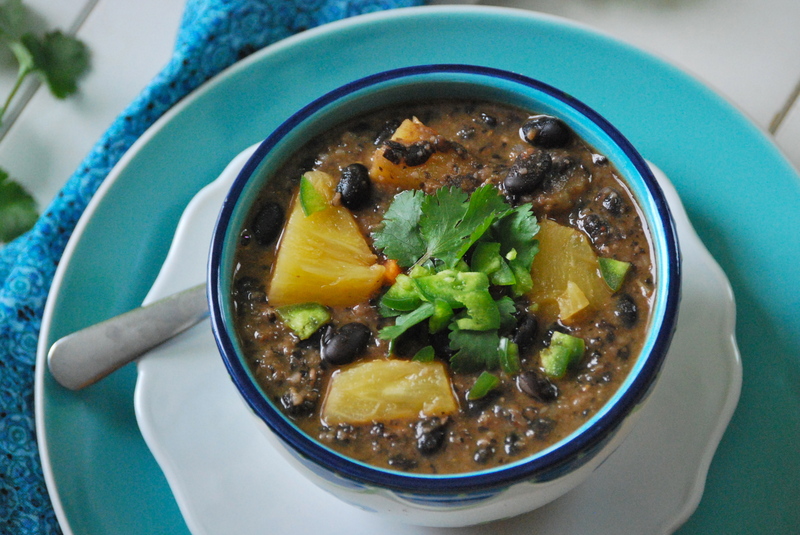 Black beans with pineapple simply weren’t a pairing you’d find in the local Midwest diners. The soup was so delicious that we went back for it several times that week. Since I’ve thought about that soup so often, I finally decided to create my own version of it at home. First up are the beans. 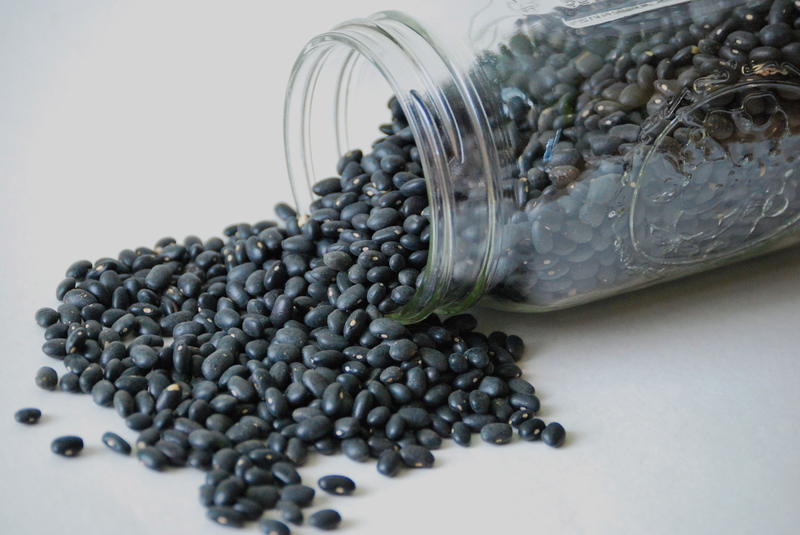 These fantastic little legumes are delicious and good for your body. More on that here. I love how versatile they are– they’re staples in Mexican, Indian, and Caribbean cuisine. Add to that the fact that they’re inexpensive, and it’s a total win. I put beans in so many dishes that it’s ridiculous. 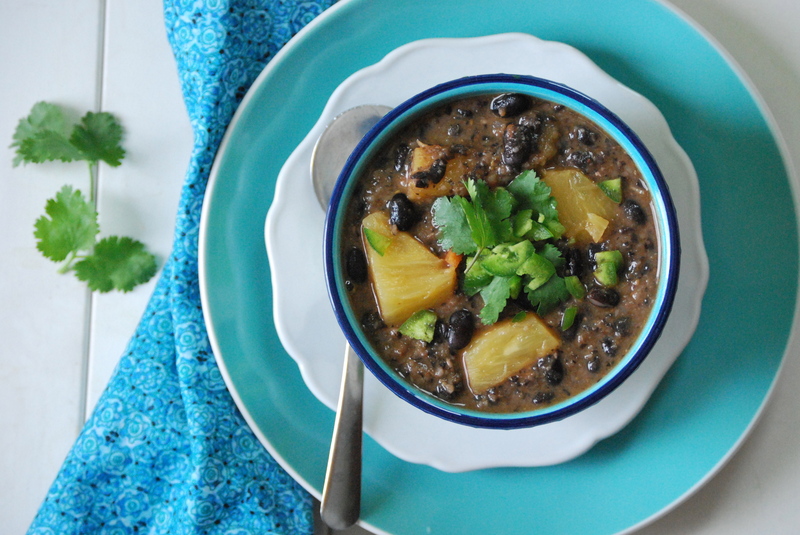 In this soup, the pineapple makes for a perfect pairing with the black beans. It adds a nice subtle sweetness to contrast with the savoriness. And the acidity from the fruit gives this soup a fresh flavor that you don’t often find in bean-based dishes. I also delved into my frozen supply of roasted red peppers from this past summer. They worked great in this soup. 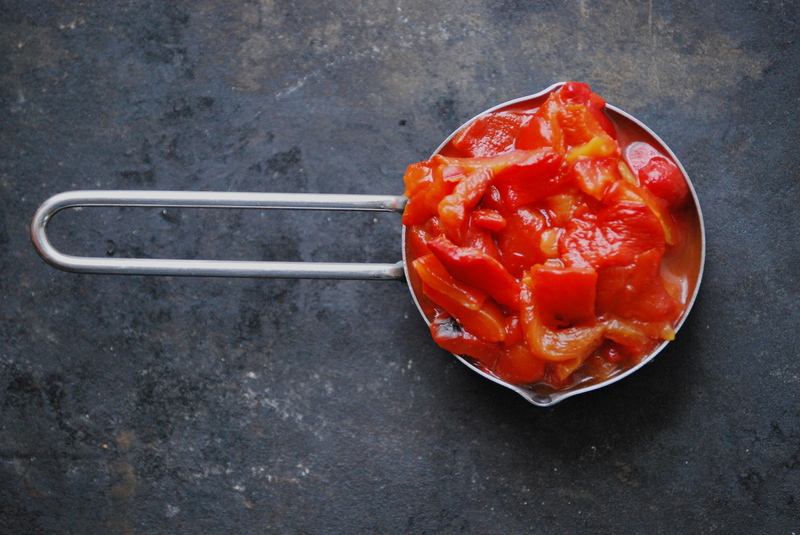 If you can’t find any roasted red peppers, feel free to use a regular one, but be sure to sauté it a bit before adding it to the soup. The cilantro on top gives it another burst of freshness, and the jalapeño lends just the right amount of heat. So gather up your ingredients and get this one simmering for the snowfall this weekend. Cozy-up, my friends! In a large Dutch oven, sauté the onion and garlic in the olive oil over medium heat for a couple of minutes. When the onions are soft, add the ground cumin, coriander, and smoked paprika. Sauté for about 30 seconds. Add the roasted red pepper, soaked beans, water, bay leaf, and salt and pepper. Cook for about a half hour over medium heat or until the beans start to feel nice and soft. 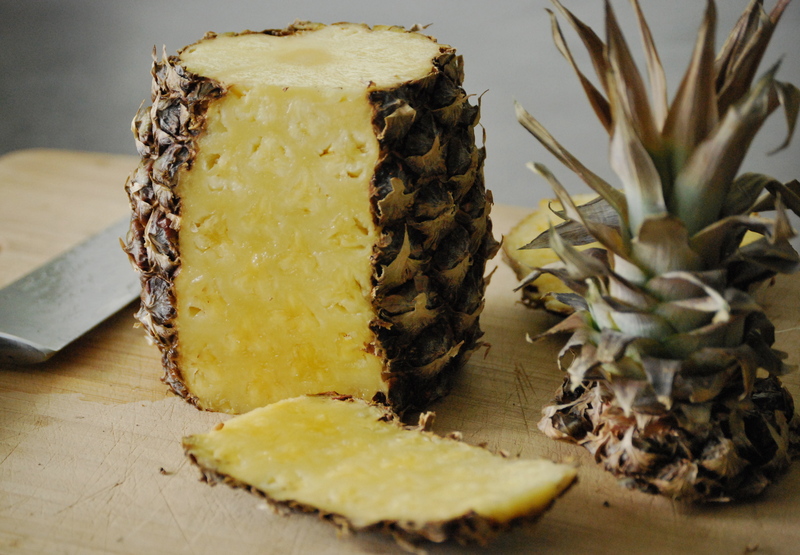 Add the pineapple and continue to cook for another 20 minutes, or until the beans are completely soft and tender. When they are, carefully remove about 1 cup of the black beans and place it into a blender. Blend until smooth, then return to the pot. If you want the soup thicker, blend a few more beans. Like your soup thinner, add a bit more water. You get the idea. Adjust seasoning with salt and pepper, if necessary. Top with chopped cilantro and sliced jalapeños. Keeps well for days in the refrigerator. Enjoy! I am loving the pictures in that post!! Looks good! Oh, and the cilantro – YUM.